Early-stage breast cancer survivors who completed a telephone-based lifestyle intervention program lost weight and tended to have higher rates of disease-free survival, according to recent research presented at the 2018 San Antonio Breast Cancer Symposium (SABCS). 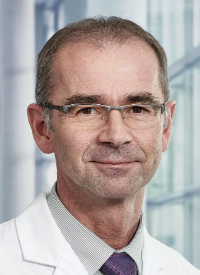 “We have increasing data that obesity and low levels of physical activity are associated with higher risk for developing cancer, and also, for patients who already suffer from cancer, there is an increased risk for recurrence and reduced survival in these patients,” said study author Wolfgang Janni, MD, PhD, professor and chair of the Department of Obstetrics and Gynecology at the University of Ulm, Germany, in a presscast. The lifestyle intervention included 2292 women who were part of the larger, phase III SUCCESS C study. All participants had early-stage HER2-negative breast cancer that had been treated with chemotherapy. They had a body mass index (BMI) between 24 and 40 at baseline. Women were randomized into 2 groups: 1 that received individualized, telephone- and mail-based guidance on healthy lifestyle for 2 years with a goal of weight loss, improved diet and physical activity; and the control group, which received generalized written recommendations for healthy lifestyle. Participants in the study group received a workbook with information, as well as 19 phone calls with an expert who discussed ways they could improve their diet, reduce fat intake and increase physical activity, as well as other more personalized tips. Janni mentioned that while personal contact between health care providers and patients is beneficial, making the intervention telephone-based was far more feasible. There were 1477 patients who completed the program in all — 552 (48.2%) of those in the lifestyle intervention group and 925 (80.7%) from the control group. Those 1477 patients had a 35% higher disease-free survival rate compared with patients across both arms who started the program but did not complete it. In an exploratory analysis, OS was also higher in completers than in study noncompleters. However, when everyone enrolled in both arms was included in the analysis, OS did not differ between the lifestyle intervention and control groups. The disease-free survival of those who completed the lifestyle intervention program was about 50% higher than it was in study completers in the control arm; this was true both in univariable analysis and when researchers controlled for age, menopausal status, tumor size, hormone-receptor status, and chemotherapy type. “However, we have to note that only 64 percent of the patients actually completed the lifestyle program, and less than 60 percent in the intensified program actually completed the final phone call of the lifestyle program,” said Janni. Also, after 2 years, patients enrolled in the lifestyle intervention arm had lost an average of 2.2 pounds, while those in the control arm gained an average of 2.1 pounds. The exploratory analysis indicated that completers of the lifestyle intervention program lost more weight than noncompleters. Janni mentioned that that there were some limitations to the study and that practitioners should be cautious in interpreting the findings, since the most significant factors that affect disease-free survival are tumor stage and tumor biology. Janni W, Rack BK, Friedl TWP, et al. Lifestyle intervention and effect on disease-free survival in early breast cancer patients: interim analysis from the randomized SUCCESS C study. Presented at: 2018 San Antonio Breast Cancer Symposium; December 4-8, 2018; San Antonio, Texas.